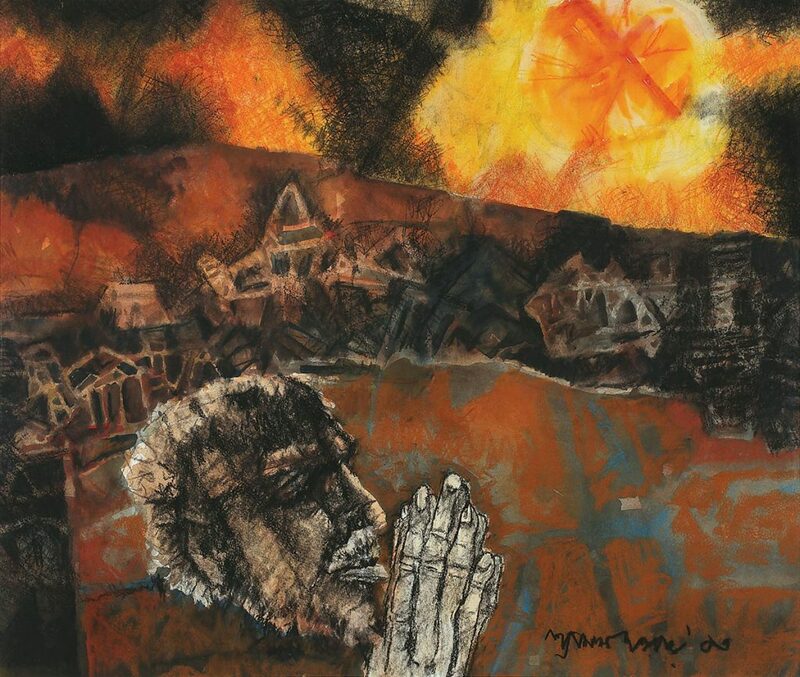 Juvenile ill-health and experience of the Bengal famine had a lasting impact on Shyamal Dutta Ray’s imagination and art. 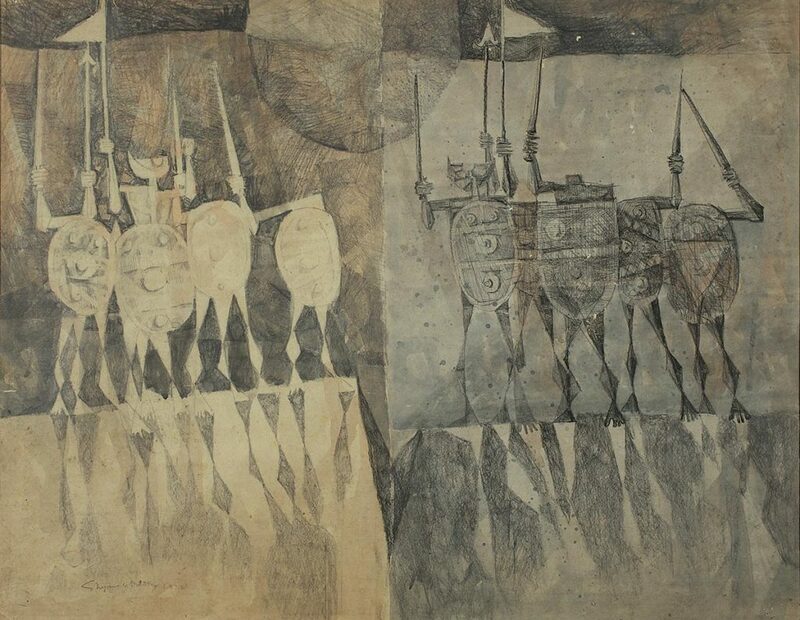 He completed his diploma in painting from Government College of Art, Calcutta, from 1950-55, and in 1968, became a founder member of the Painters ’80 Group. One of the most accomplished watercolourists of our time, Dutta Ray began his career in the Fifties, first working in oil and, later, switching to watercolour on medical advice. Watercolour requires an artist to be a virtuoso performer and achieve technical mastery. 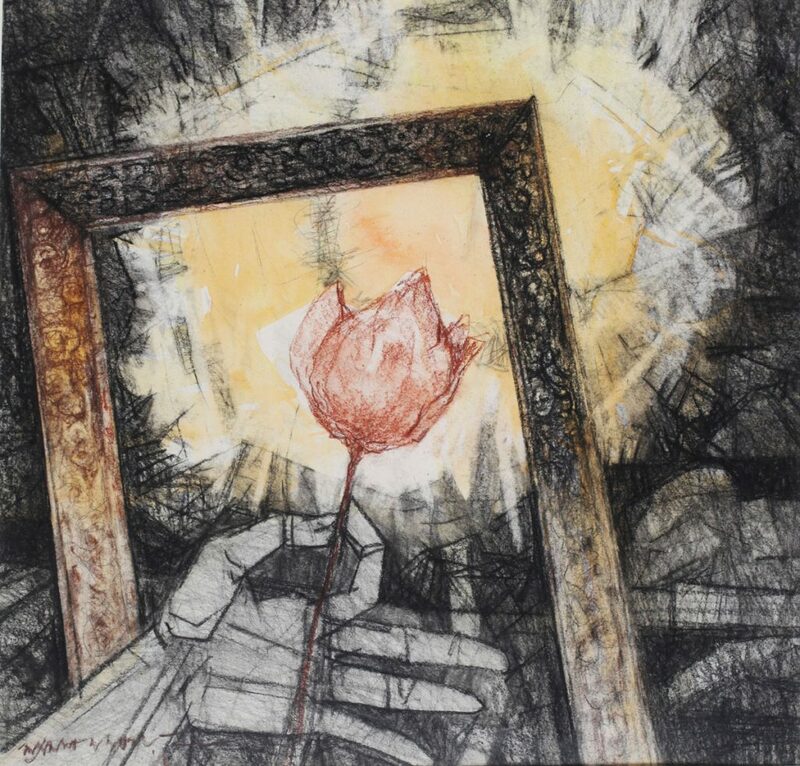 Dutta Ray became a master of this demanding medium, creating vivid and expressive images, and yet the technical aspect of his work never appeared to override his expressive intent. 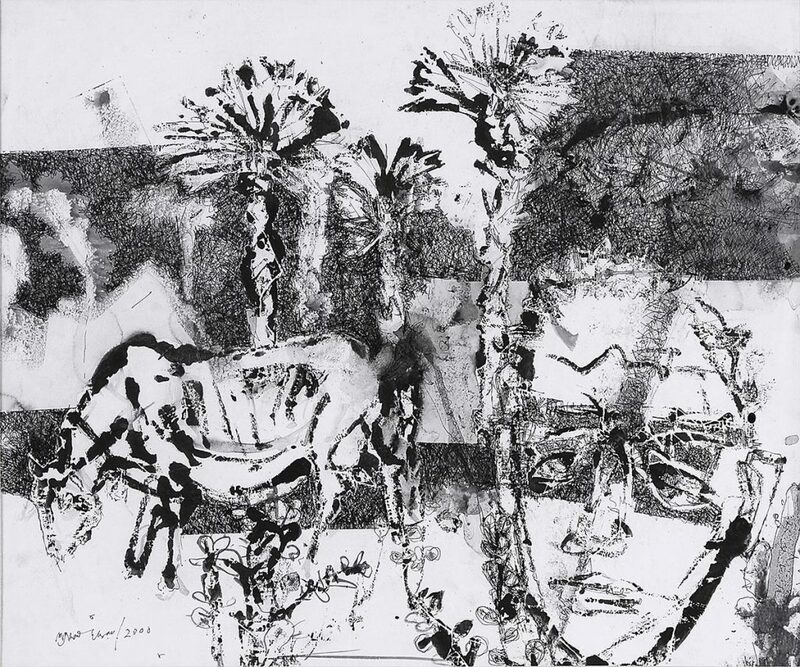 Laden with satire and wit and often subtly political, his works respond to reality with often a willful distortion of it and communicate his preoccupation with the human condition. From 1954-56, Dutta Ray taught at Jagadbandhu Institution, Calcutta. 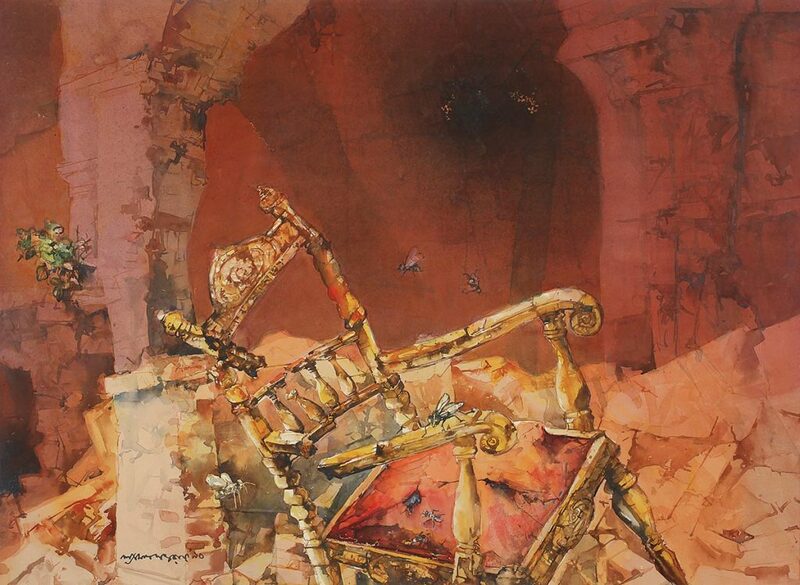 In 1999, he became a member of the Society of Contemporary Artists, Calcutta. 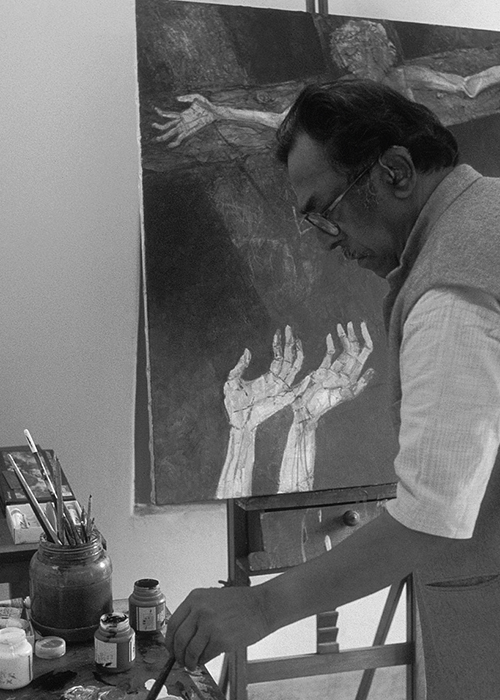 He won a gold medal from the Academy of Fine Art, Calcutta, in 1958, and the Rabindra Bharati University Award, Calcutta, in 1968. In 1982, he won the National Award from Lalit Kala Akademi, New Delhi, and was awarded the prestigious Shiromoni Puraskar award in 1988.